Are you looking for a safe and environmentally friendly alternative to clean and polish your surfaces? The Cleaning Paste is used to clean and restore any materials made of chrome, stainless steel, aluminum, and sealed ceramics. It is great on soap scum and caked-on dirt and grime. 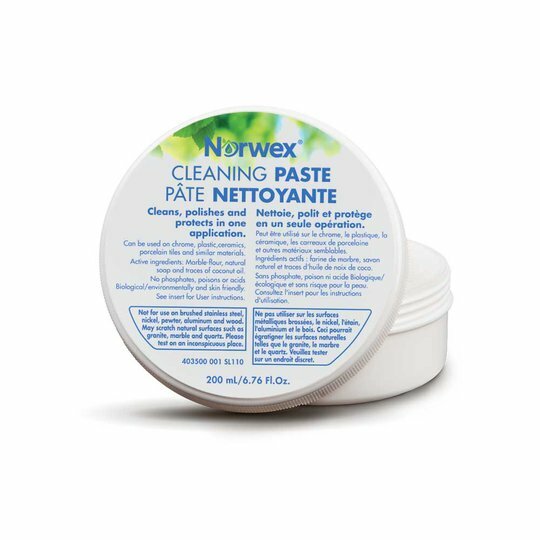 If you have stainless steel sinks, then Cleaning Paste should definitely be in your cleaning arsenal! It's also great to remove rust stains from porcelain, and can be used to remove tough stains or build-up, like grease on the underside of a microwave, or the boil-over film and baked-on residue on your stove. It can even be used to clean, polish and protect flat top stoves. Use Cleaning Paste to clean sealed grout too! Cleaning Paste can be used to clean stains, but be careful not to mar the finish of the surface you’re cleaning. It is NOT for use on granite, stone, or marble. Just apply a few dabs of Cleaning Paste on a damp Enviro Cloth, Bathroom Scrub Mitt, or damp Spirisponge, and rub gently onto the surface you are cleaning. The Spirisponge is most effective for areas with heavy grease buildup. Pairing the Enviro Cloth with Cleaning Paste leaves a beautiful shine on stainless steel - you won't even need to scrub heavily…Cleaning Paste has LOTS of "scrubby" power! It is important to note, if you’ve used stainless steel cleaner in past, it may take several cleanings with Cleaning Paste to get that residue off! If you're concerned about scratching, it is recommended to test in an inconspicuous area first. After scrubbing, you can wipe the area clean with a damp Enviro Cloth or the smooth side of the Bathroom Scrub Mitt. 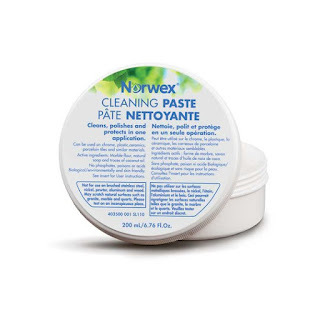 Cleaning Paste is free of poison, acid and phosphate. It cleans, polishes and protects in one application. Rub onto surface area and then rinse with water. Polish with a Window Cloth if desired. Always test on an inconspicuous spot before using. Active Ingredients: Marble flour, natural soap, and traces of coconut oil.